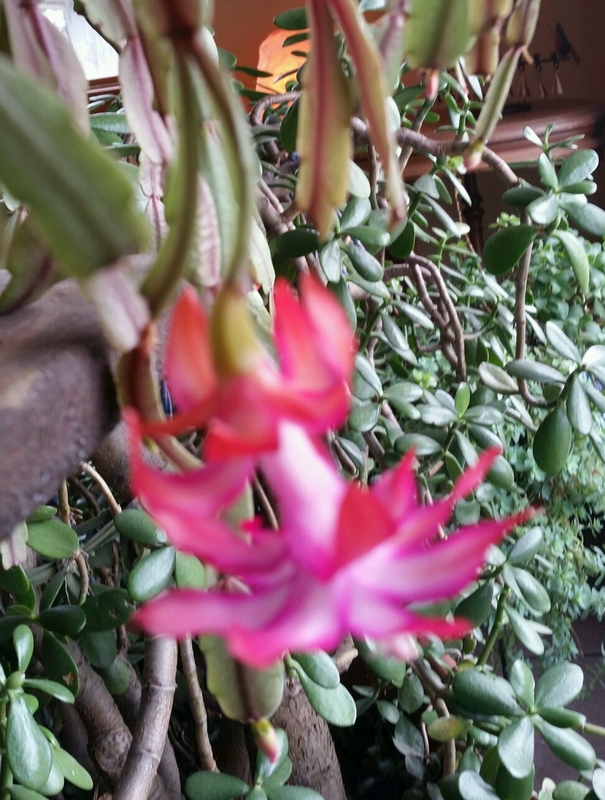 ...but the Christmas cactus is blooming again. Maybe it's just confused. She's rather old, birthed from a start given me by the husband's grandmother. Odd, but then, it's been a odd year from Mother Nature. The spinach that we planted last September is at last going to seed. I picked a couple of gallons this morning and pulled up a number of plants. There are a few that were planted later so we will have some to add to salads for a while yet. There are five gallons of spinach in the freezer. I'm thinking spinach strawberry salad with glazed pecans and if I wasn't so so tired a balsamic reduction would be nice. I am, however, tired. I've been supporting my brother as he moves closer to having half of one of his big toes amputated. Infection in the bone. On Monday I'll take him to the hospital and hopefully this intervention will take care of the infection and he'll still be able to walk. He is my only sibling, 5 years younger, and very needy. Lost his wife to cancer just a few years ago and kind of just fell apart. On the same day my oldest daughter is having a stress test because she has been having chest pains. I really don't think there's any wrong with her heart nor does her sister who worked in cardiology for years, but she will feel better knowing all is well. She just had a yearly physical and a number of other issues surfaced, could be serious or not. More tests ahead. 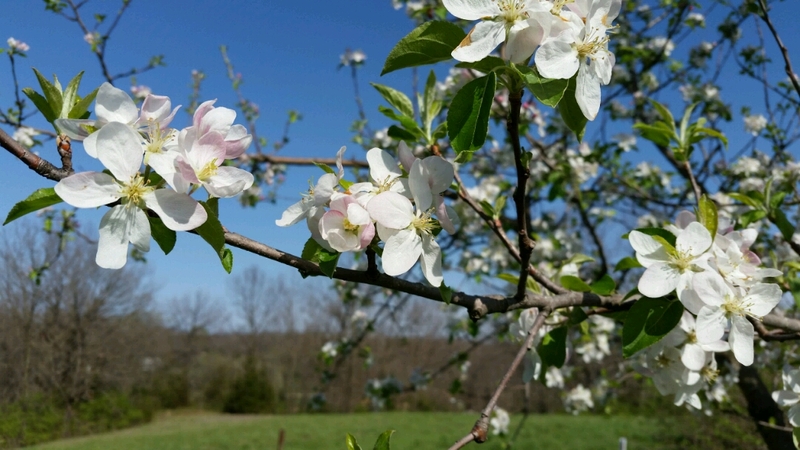 The trees are bursting with blooms, red buds, apples, pears and the cherries. 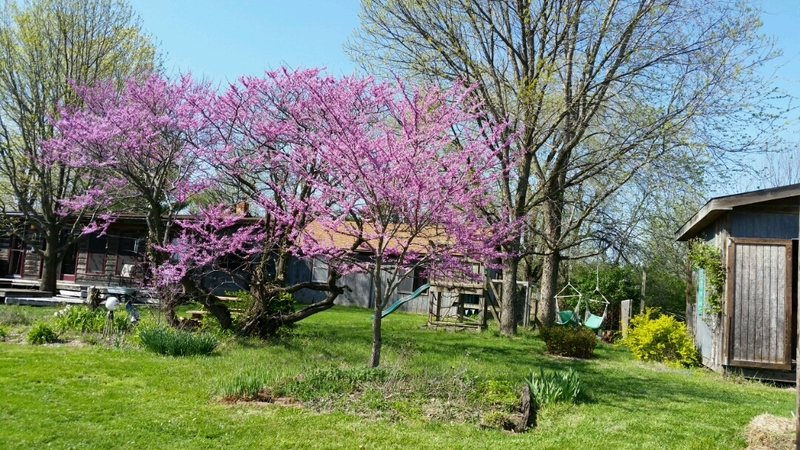 The weather this week has been truly enjoyable and I have taken advantage of it working in the yard and gardens every day. No truer joy do I know than being with Nature. 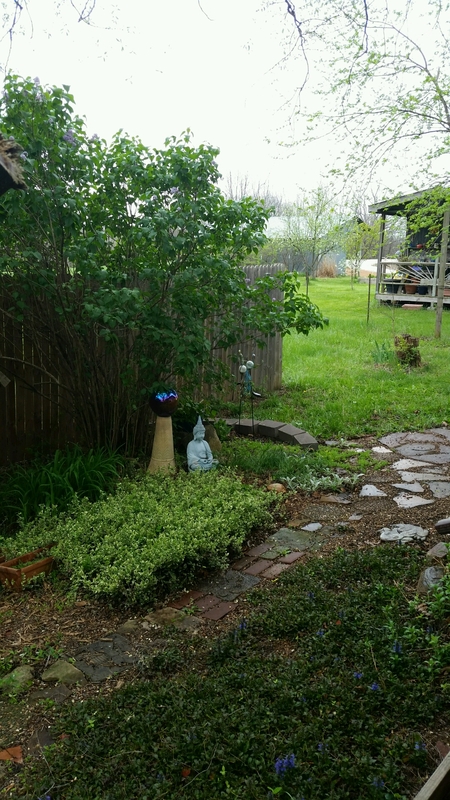 My back has felt great and I am getting to clean up areas that I haven't touched in a couple of years. Thank you Universe, I do appreciate your gifts.